In just a few weeks, we will be at the beach! Yahooooo! Can’t wait. Today I have for you the top five the reasons why I am looking forward to vacation at the beach, and, more importantly, a request for your best beach ideas for babies/toddlers. This will be Reed’s first beach visit. I can’t wait to watch him experience the sand and the ocean for the very first time!! Also, I have already started packing, and I’m slightly obsessed with the little boy beach duds he will be sporting. Last week, I found this straw fedora on clearance. Love it! My husband has a servant’s heart, and he is an admirably hard worker. Not just when he is gone from the crack of dawn until 6:30pm, but also at home as a great husband and dad. I am looking forward to Matt getting to unplug, relax, and recharge at the beach. And I’m excited about some time to enjoy each other as a family without (all of) the normal hustle bustle and demands of everyday life. Yes, I realize that with a baby, diapers, laundry, and meals, a mom is still on duty during family vacation. However, Matt & I have a (fluid) master plan to give each other some time off here and there during our beach week! And I am SO pumped about lounging in a beach chair, soaking in the ocean air, and reading a good book. Or doing absolutely nothing. So there we have it. 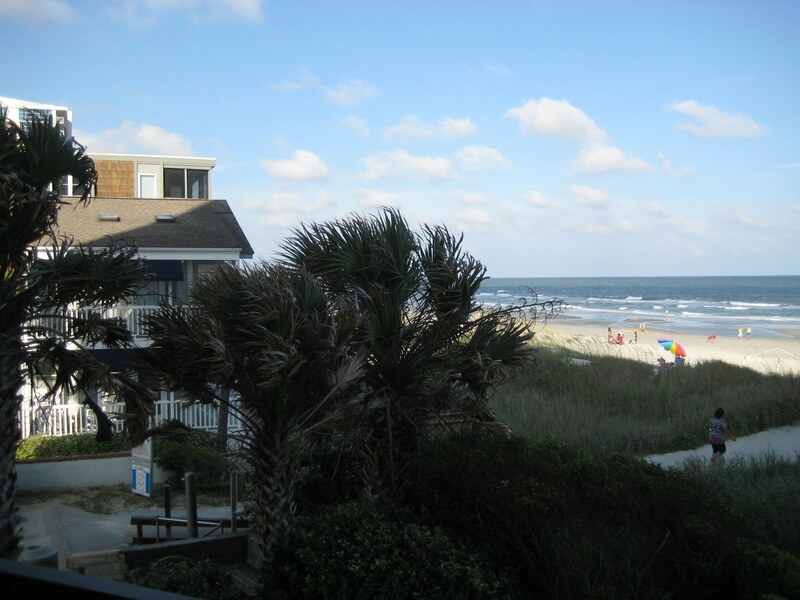 I am super excited about a week at the beach… BUT before we leave, I need your advice! 1. Jogging stroller- You might remember that I bought a jogger at a yard sale a couple of weeks ago but said it was not really for jogging… My friends says her jogging stroller is her “must-have” at the beach. The big wheels allow easy strolling on the harder sand, and we are thinking it will make a good packhorse for all of our beach gear from the condo to the beach and back. We will probably try walking the beach during Reed’s morning nap too. 2. Kiddie Pool- I have also heard of families with small children (who are too young to safely play alone at the ocean’s edge) who bring a kiddie pool or other large container to fill up with water and set up right next to their chairs or under a sun umbrella. Anyone tried this? Opinions? Do you have any beach tips to share, big or small? A method? A rule? Any must-have toys, supplies, or even grocery items? Do tell! We got a blow up duck tub from Babies R Us and it was amazing!